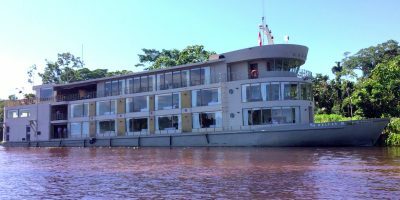 Visit mighty Iguazu Falls and intriguing Lake Titicaca, cruise the Amazon River and explore the lost city of the Incas, Machu Picchu on this epic 25-day South American adventure. Explore the most captivating natural and cultural wonders of South America on this 31 day tour which takes in the Galapagos Islands, Iguazu Falls, Machu Picchu and more. Visit Machu Picchu, Easter Island and more to discover tales that date back hundreds of years laying important foundations for cultures and traditions of Peru, Chile and Tahiti. Discover South America's most iconic destinations, exploring Machu Picchu, learning the tango in Buenos Aires, getting soaked at Iguazu falls and taking in the atmosphere of Rio de Janeiro. This 20 day journey will take you to the colourful and ancient sights of Argentina, Brazil, Chile and Peru. Combine the breathtaking cultural highlights of Peru with the unique wildlife of the Galapagos Islands and the Amazon rainforest on this 18-day adventure. South America is an increasingly popular destination for travellers. The sights and sounds on offer during our South America tours are guaranteed to offer something for everyone. Stretching from the Caribbean to Patagonia, the variety of cultures, climates and landscapes has to be experienced to be believed. Travel to destinations such as Machu Picchu, Iguazu Falls, Rio and the Amazon or explore some of its many rapidly emerging highlights. Amongst others Angel Falls, the Pantanal, Colombia, and Uyuni are all destinations which seduce even the most weary of traveller. You cannot deny the delights of South American travel. Right now, South America is the place to go. 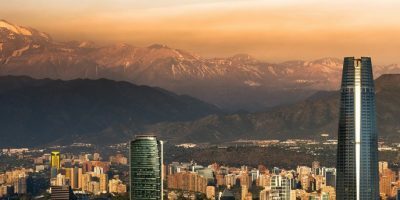 Spectacular scenery, friendly cultures, magical history, great food and of course huge festivals are just some of the brilliance of a trip to South America. Eclipse Travel’s experts will guide you every step of the way to give customers the ultimate trip. If you are looking for somwhere to start why not check out our extremley popular Best of South America and South America Essentials tours. We have hand picked a selection of the best destinations to give you a wonderful taste of South America. Choose from our range of fascinating South American tours or contact us and we’ll be happy to tailor the perfect itinerary to suit your requirements. What do you get in a South American Tour? Exciting adventure, breathtaking nature, indigenous and colonial history… incredible food, wine, and coffee… tropical beaches, vibrant festivals, music and dance... and more! 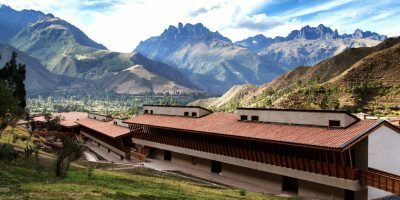 It’s no wonder that South America is increasingly becoming a top choice for solo travellers and groups. South America consists of 14 countries: Argentina, Bolivia, Brazil, Chile, Colombia, Ecuador, Falkland Islands (British Overseas Territory), French Guinea (a part of France), Guyana, Paraguay, Peru, Suriname, Uruguay and Venezuela. Contrary to popular belief, Spanish is not the most spoken language in South America! The majority language is in fact Portuguese. It is the national language of Brazil, the largest country in South America, consisting of about half the continent’s land and population. Other languages spoken are: English, Dutch, French, and 350+ indigenous languages including Quechua, Guarani, Aymara, Wayuuin, and Mapudungun. Read more about Festivals and Food in South America . . . If you’re making South America travel plans, it’s worth taking note of the various extravagant festivals that occur year-round throughout the region, so you can try to catch them during your trip! Experience the world famous Carnival of Brazil (or Carnaval in Portuguese), an annual festival dubbed by Time magazine to be the “world’s biggest party”! It is a 6-day festival usually in February or March, celebrated 40 days before Easter, which marks the start of Lent. You won’t want to miss this nation-wide celebration, with bands, costumes, and floats as part of the non-stop festivities, which go on all day and night. In 2017, more than 1.1 million tourists flocked to Rio for Carnaval! Be a spectator to the official parades held in cities throughout the country by professional samba schools. Meanwhile, the public is welcome to participate in minor parades, called blocos. In Rio De Jeneiro, there are about 600 blocos from mid-January to mid-February, the largest of which occurs in the city centre – about a million people participate in Cordão Da Bola Preta (Big Cord of the Black Ball)! Semana Santa (Holy Week) is the Catholic celebration of the death and resurrection of Christ. South America has a predominantly Catholic population, making this one of the biggest festivals in the region. Get ready for a week of religious processions, performances on the streets, and vibrant celebrations everywhere. Peru is one of the best places to experience Semana Santa. On Good Friday in Paucarpata, the Via Crucis enactment of the life and death of Christ is presented in 50 scenes, involving over 200 actors. In Cusco, there is a major street parade dedicated to the Lord of the Earthquakes. In Bolivia, thousands of believers embark on a 150 kilometre pilgrimage from La Paz to Copacabana, taking about 2 days on foot, as a mark of sacrifice and penance for Semana Santa. In Quito, Ecuador, a massive procession takes place on Good Friday where people carry statues of Jesus and the Virgin Mary on their shoulders, beginning at the San Francisco Church and proceeding through the old city centre. It’s a truly spectacular event which needs to be experienced in person. The Oruro Carnival is celebrated in Bolivia every February. This religious festival is one of UNESCO's Masterpieces of the Oral and Intangible Heritage of Humanity and is one of its biggest tourist attractions. Get ready for plenty of dancing, vibrant costumes, lively music! If you find yourself in Peru in June, you might be lucky enough to experience Inti Raymi, the Inca Festival of the Sun, a 9-day celebration of the beginning of the Incan New Year. Usually occurring on 24th June, Peru’s most popular cultural festival consists of street parties, processions, fiestas in and around Cusco. In early August, Medellin in Colombia comes alive with its annual Flower Festival, Feria de Las Flores, welcoming almost a million tourists to their vibrant flower-filled streets. Also in August, the Tango BA Festival y Mundial, occurs in Buenos Aires, Argentina, birthplace of Tango. The Tango was declared an Intangible Cultural Heritage of Humanity by UNESCO in 2009, and a visit to South America is incomplete without experiencing the passionate dance and culture of Argentina. Every October in Lima, the capital of Peru, one of Latin America’s largest Catholic processions, Señor de los Milagros (Lord of the Miracles), occurs. The sacred image of the Lord of Miracles is carried through the city, and hundreds of thousands of people come down to attend the procession. It is a custom to wear purple during the event and everyone is welcome. In November, the entire South American continent comes together for the Day of the Dead, Dia de Los Santos, to remember those who have passed. This is the celebration and reaffirmation of life, honouring all the saints. Experience this anywhere in South America, and it’ll be a day you won’t forget. 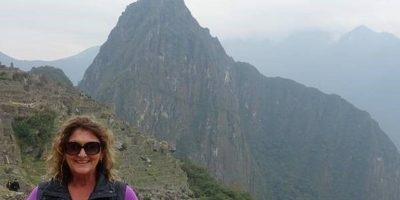 If you’re somehow not yet compelled by its incredible history, culture, sights, and sounds, you might be interested to know that a South America Tour is worth it for its food alone! Peru is a foodie’s heaven – seafood lovers will get to experience fresh ceviche, carnivores are in for a treat with chicharrónes, you’ll want to taste an authentic aji de gallina (local chicken stew) or causa (potato-based summer dish), and the adventurous might even want to try roast cuy (guinea pig, a local delicacy). Don’t forget to wash it all down with a pisco sour and grab some picarones (Peruvian doughnut) for dessert! In Argentina, it’ll be customary to start your day with some empanadas and yerba mate tea. For dinner, indulge in steak with chimichurri and red wine... a bottle of Malbec, no doubt. Don’t miss out on other local delicacies including asado, pantagonian lamb, chorizo and alfajores! In Brazil, discover culinary delights like coxinhas, feijoada, pastel, churrasco, brigadeiros… and everywhere in South America, dulce de leche… sweet caramel nectar of the region! Embark on your South America holidays with Eclipse Travel! Whether you want to catch the Carnival in Brazil or go on a foodie’s tour in Peru… Eclipse Travel will be able to tailor the perfect itinerary to suit your needs. One of South America’s jewels, Argentina has more must-see destinations than any other country on the continent. 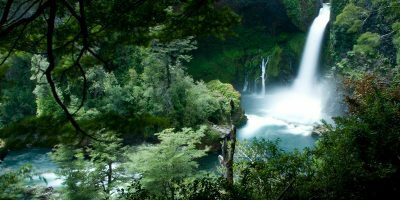 From Iguazu Falls to Patagonia and the gateway to Antarctica, you will find yourself amazed at the wonders this country has to offer. Each corner of Bolivia has a completely different landscape to appeal to every traveller. The snow-capped peaks of the high Andes, the salt flats and moon-like landscape of Uyuni and the untouched Amazon in the north are some of the unforgettable destinations that’ll make you want to stay for longer. Arguably the world’s most exciting destination for travellers, the endless Samba beat and joy of Brazils’ people will entice you to explore South Americas’ largest country. The home of Brazil’s Carnival – and soon to host the 2014 World Cup final and Olympic Games – Rio will amaze you with its atmosphere and spectacular terrain. 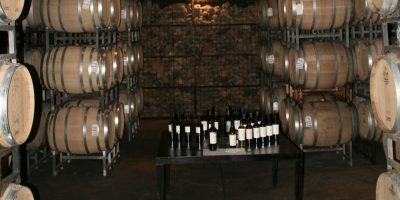 The first or last sample of South America for many travellers, Chile has countless surprises up its sleeve. 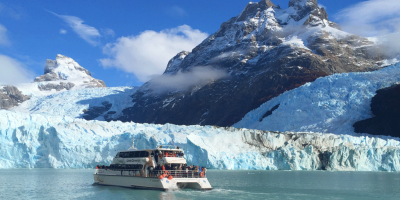 You’ll see the brightest stars in the world in the Atacama Desert, cruise through the giant Chilean fjords or trek through Patagonia to the mighty Torres Del Paine. Colombia is the sleeping beauty of South America, awakening to show you all the spectacular places it has to offer. 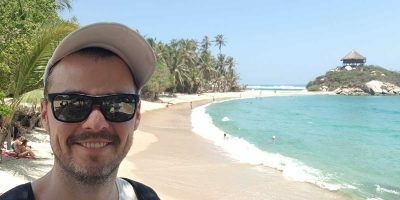 Find yourself in paradise where the jungle meets the idyllic northern Caribbean coast or spend some time learning about Colombia’s colourful past in Medellin and Bogota. 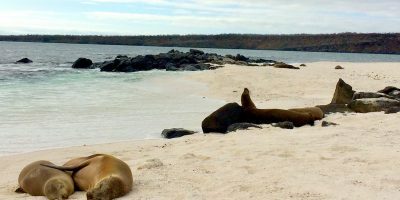 Home to the exceptional Galapagos Islands, Ecuador has an abundance of gems to give you an unforgettable adventure. The astounding biodiversity of Yasuni National Park will give you some of the ultimate Amazon jungle experiences in South America. Home of Machu Picchu, Lake Titicaca, the Nazca Lines, Amazon Jungle….the list goes on. One visit to Peru isn’t enough! This is one destination with something for everyone, from the cosmopolitan streets of Miraflores in Lima to the floating villages of Lake Titicaca. Let Eclipse Travel introduce you to this remarkable country. Uruguay has delightful attractions at every turn. Montevideo’s charming architecture and cultural wonders are a great first stop before heading to explore some of the country’s other marvels, such as wandering through UNESCO listed Colonia del Sacramento or enjoying the great beaches and nightlife of Punta Del Este. Rising up from the idyllic Caribbean coast up to the Andes, Venezuela will show you a diverse country with landscapes that are out of this world. You’ll be awestruck by the world’s tallest waterfall, Angel Falls, where the cascading water falls from so high that it drifts and fades into the jungle. It’s just one of many wonderful sights in Venezuela. South America is a traveller’s favourite with fantastic possibilities to easily combine several countries into the one same trip. We offer a variety of spectacular journeys combining the very best the South American continent has to offer. When to visit South America? South America is a huge continent and weather conditions differ greatly depending on which destinations you plan to visit. High season/summer is generally December to February. The warmest months are typically between January and March and the coolest months June to August. Eclipse Travel can assist with all your flight arrangements, including international flights, round- the-world flights, internal South America flights and South America air passes. South America Visa requirements vary depending on which countries you will be visiting and also what passport you will be travelling on. To check the latest visa requirements and assistance with your application use our handy Visa Machine on our South America Travel Information page.